House Sparrows have long lived happily alongside humans in London. Their enthusiastic breets could be heard from chimneys, roofs & guttering. 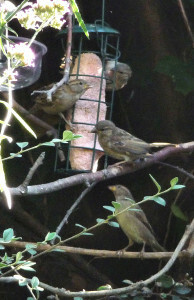 As they hopped about, pecking at scraps & crumbs, their presence was taken for granted. 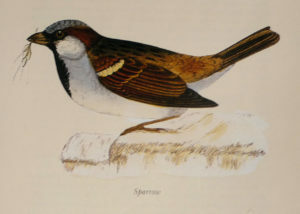 “The geographical range of this well-known bird is very extensive. Everywhere he is the same, at least under the same circumstances… the smoke-begrimed Sparrow of the town to the handsomely-plumed bird of the country! In Central London’s St James’s Park, you could stand on the bridge over the lake with seeds in the palm of your outstretched hand – Sparrows would fly to you, land on your hand & peck away at the seeds. That was years ago. 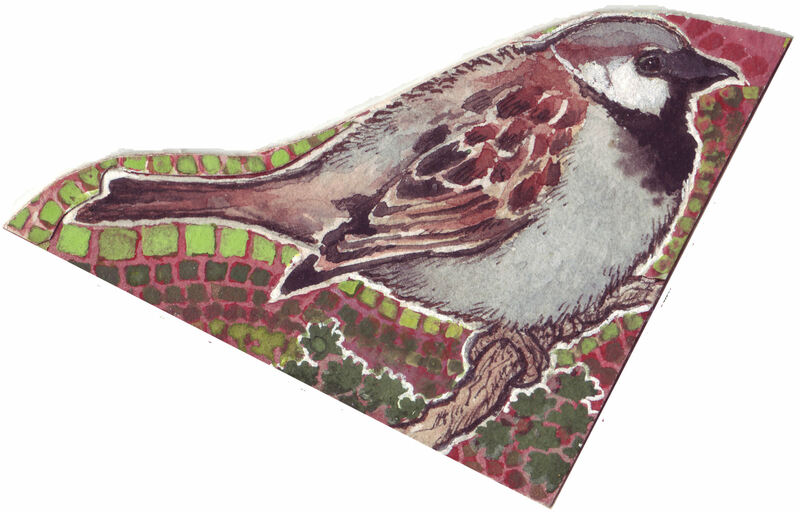 Since then House Sparrow numbers all over the country – London included – have crashed. Here in Highbury, where they once had a noisy presence all along Gillespie Road & nearby streets, home improvements for humans have meant fewer Sparrows finding homes. 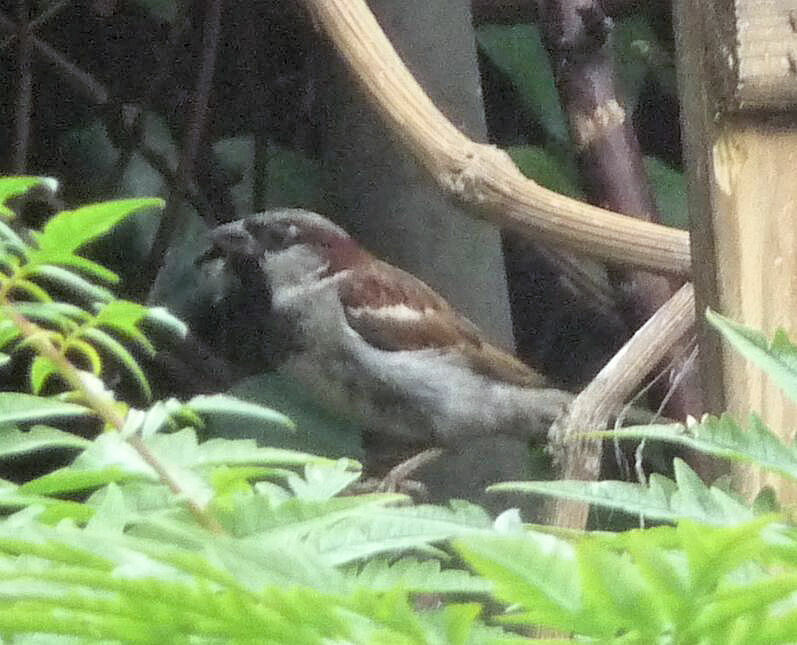 An extended family of House Sparrows has survived on Drayton Park, not far from Arsenal Football Club and close to Gillespie Park’s front gate. As you walk past the Park’s high brick wall, you can usually hear Sparrow breets and chirrups coming from the overhanging vegetation. Within the nature reserve’s walls, management of native trees, wildflowers & grasses benefits wildlife – especially insects & birds. Good Sparrow fodder. 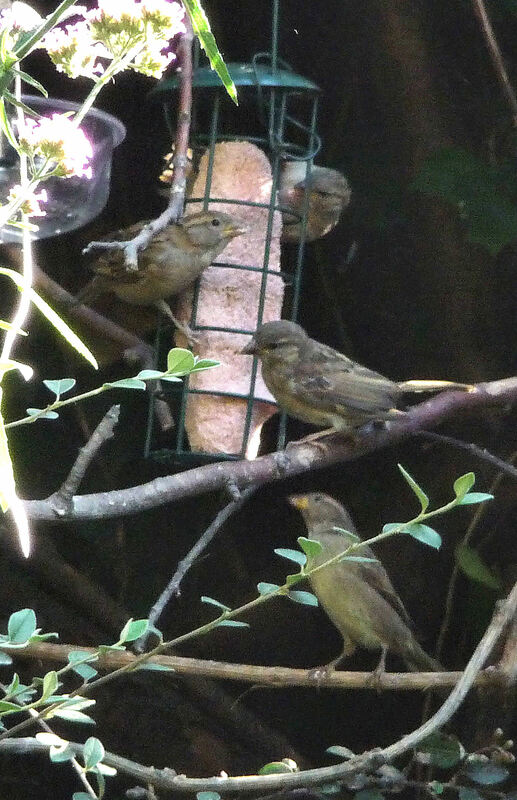 House Sparrows can have five fledgelings in a brood & three broods in a season : it only takes a few successful parents to bring the cheerful chirp back to the neighbourhood. We are doing what we can here. 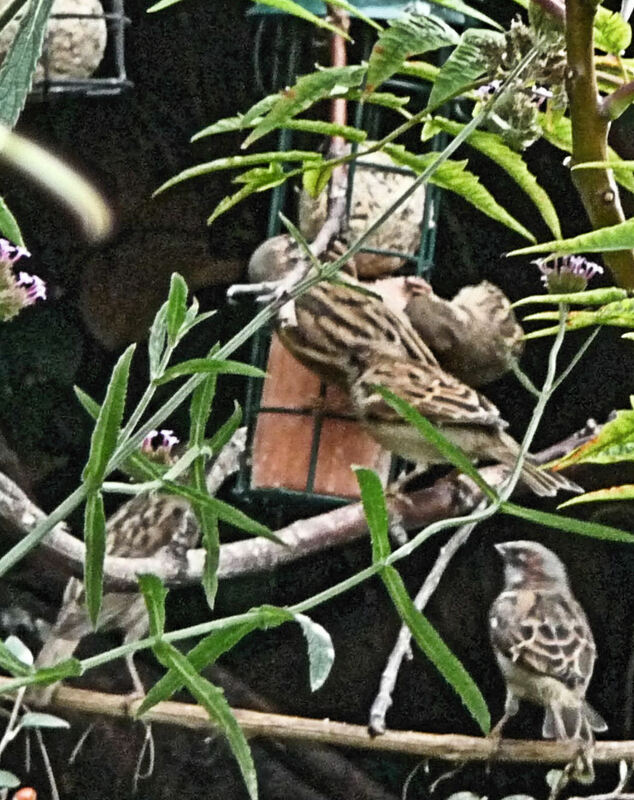 Our Sparrows come to dine on suet balls & sunflower seed hearts, but their housing needs are being met by our neighbours. 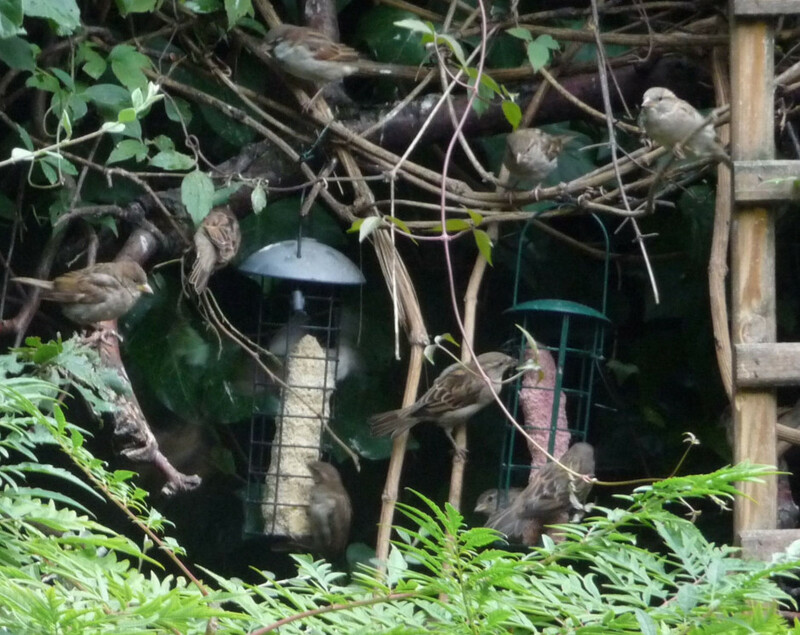 As House Sparrows live their lives very close to where they were born, those who visit our birdfeeders (and yours, if you are lucky enough to have sparrows) must be quite local. 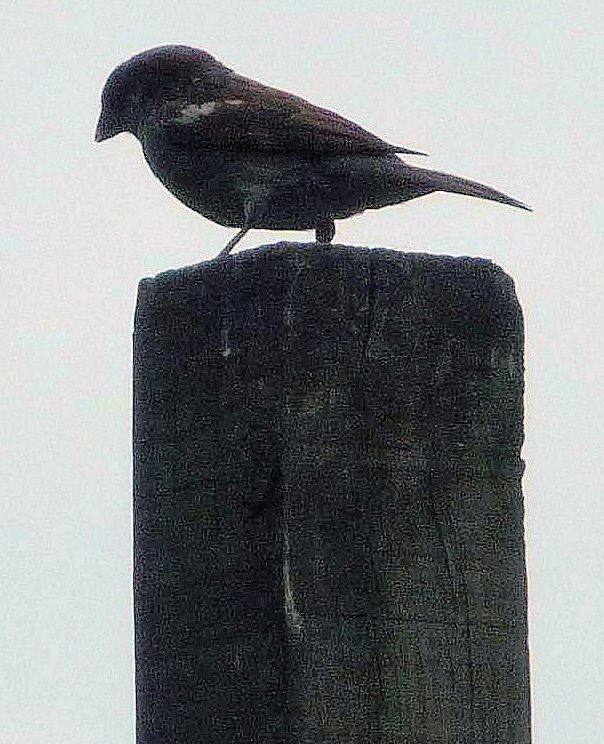 We may think that Sparrows live well on our scraps – bread and crumbs from our sandwiches. 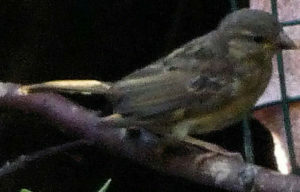 But Sparrow fledgelings need protein to grow, especially in the first 3 days of their lives. Studies have linked the decline in House Sparrow numbers to an absence of their great source of protein – insects. Nestlings were found starved to death when parent birds could not find insects enough to feed them. 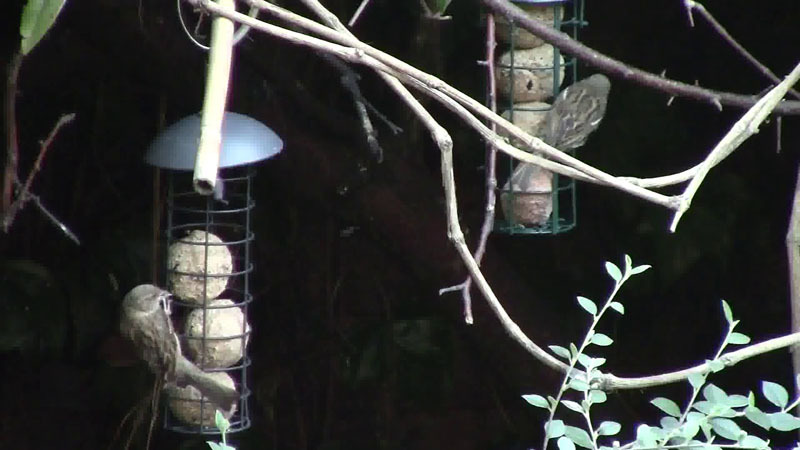 See ‘What You Can Do – for Birds‘ to read about the RSPB‘s campaign with London Councils to bring back House Sparrow numbers. 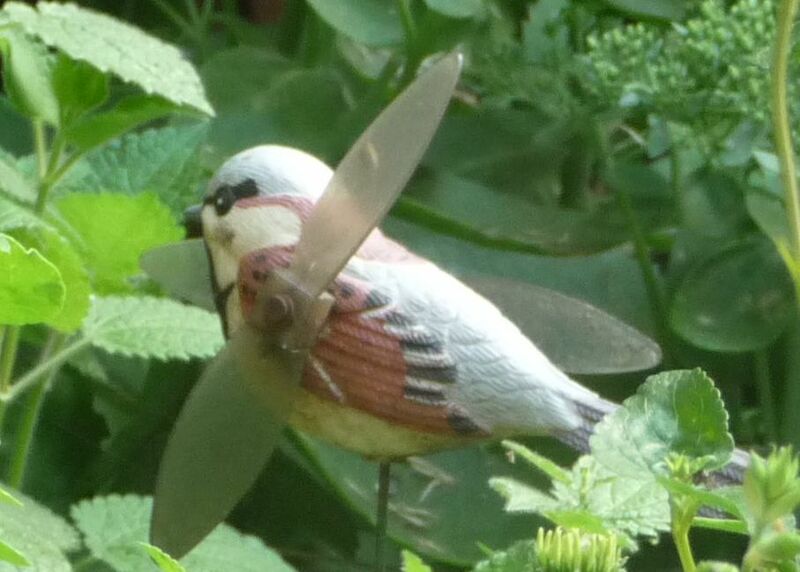 “ Sparrow numbers are plummeting – down 68% in the last 3 decades, a new RSPB study has found. The alarming report has also found that Cockney Sparrows are now virtually non-existent and have almost totally vanished from inner London. Sparrows are fast disappearing from other cities too, including Bristol, Edinburgh and Dublin. 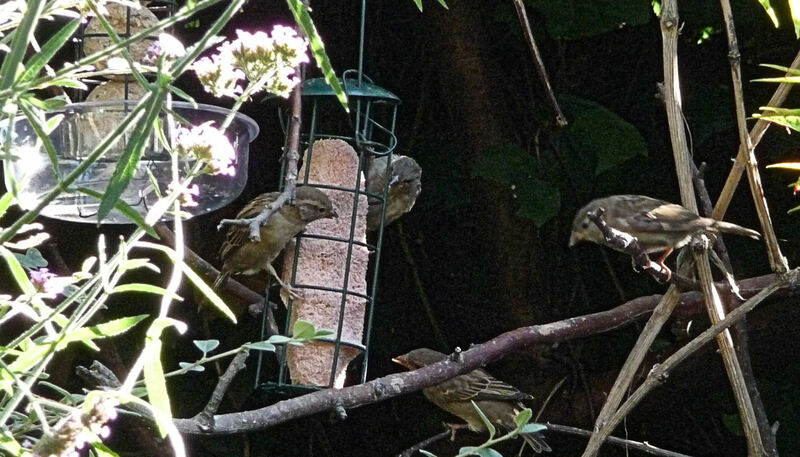 By allowing your garden to become a bit scruffier, there will be more insects for Sparrows to gobble up. Setting aside a patch of garden to go ‘wild’ will really help. Many lawn treatments contain pesticides to kill off Leatherjackets; these are the larvae of the Cranefly (Daddy Long Legs) & are the main source of food for hungry Sparrow chicks in the summer. Now is the time to put up your nest boxes ready for spring. Sparrows are sociable birds & will benefit from specially designed ‘colony’ nest boxes. 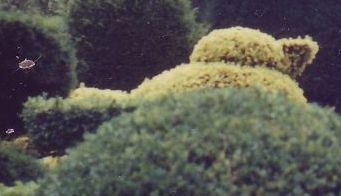 Native shrubs and climbers such as Honeysuckle, Wild Rose and Hawthorn are a haven for spiders, beetles & other creepy crawlies, all vital food for Sparrow chicks. Foreign invaders uch as Leylandii provide little or no insect life at all. One theory suggests that an important source of food for adult Sparrows was from shaken table cloths outside the back door! With the use of table cloths decining, this food source has dried up. Shake your metaphorical table cloth by regularly putting out crumbs & other kitchen scraps. 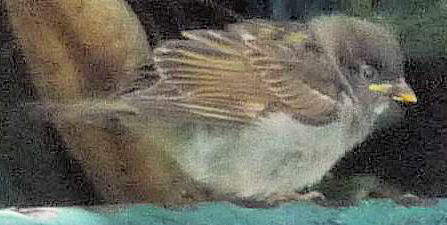 Like all small birds, Sparrows need large amounts of energy to survive the cold winter days and nights. Providing fat and oil rich food will give adults a much needed, instant energy boost. Ultiva® Finest Blend is our best Sparrow food, as it contains suet pellets & sunflower hearts, foods high in energy. With insects in short supply, give Sparrow chicks the protein they need by supplementing their diet with live mealworms. These energy and protein rich wrigglers are a firm favourite with many of your garden visitors, including Robins and Blackbirds. Vital for all garden birds, ensure that there is allways fresh water available, especially during freezing weather.